Benjamin Dodds is a Sydney-based poet who was born in the NSW Riverina. His debut collection, Regulator, was published by Puncher & Wattmann Poetry in 2014. His work has appeared in Best Australian Poems, Meanjin, Cordite, Tincture and on ABC Radio National’s Poetica. 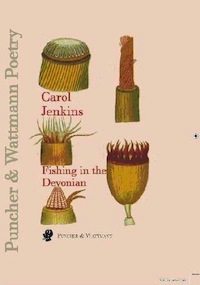 Carol Jenkins's first collection of poetry, Fishing in the Devonian, has been identified as a body of great 'scientific' poems. Michael Sharkey's quote on the publication's back cover and Judith Beveridge's pick of the best books of 2008 in Australian Book Review both single out Jenkins's work for its strong use of science. Indeed, Jenkins's own blog refers to her work as 'science-based', and the collection was launched by Radio National's most prominent science reporter, Robyn Williams.